Translated: You will take any help to secure a trip to the postseason, even if it is from the outside. Without kicking the ball an inch, the Tacoma Stars did just that Thursday night as the red-hot San Diego Sockers (21-1) defeated the Ontario Fury, 10-6, on Thursday night. With two weekends left in the 24-game Major Arena Soccer League regular season, the Fury still holds second place in the Pacific Division with an 11-12 record and a .478 winning percentage, barely above the Tacoma Stars (10-11) at .476. The Fury has one precious game remaining in Ontario's season at the Southwest Division champion Monterrey Flash (17-4) on April 14, so the team doesn't have much room for error, if any. The Stars have three matches -- all on the road -- left, including two this weekend. at the Dallas Sidekicks (9-13) on Saturday and at Monterrey on Sunday before playing at the Turlock Express (3-19) on Friday, April 12 in its regular-season finale. So, depending on the results, the only race remaining in the league for a postseason berth could go down to the very last kick next Sunday. Tacoma could make life easier for itself by sweeping both road matches this week, but that is easier said than done, especially in the fast-paced and sometimes unpredictable world of arena soccer. Perera would trade winning the league points and assists title for reaching the playoffs. 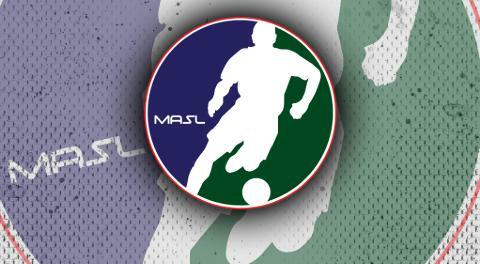 Entering this weekend, he leads the MASL in both categories, with 67 points and 37 assists. "This team deserves to play in a playoff series," he said. "I would happily trade in every point this season to guarantee that. The collective must always outweigh the individual." If the Stars reach the postseason, it would mean the second successive season that they reach the playoffs by the skin of their teeth over the Fury. Regardless, it would be a lot to the first-year player-coach. "Obviously, as a coach, it would mean that our initial goal had been accomplished, and that the work and effort my team has been putting in has paid dividends for the first of our goals this season," Perera said. The Stars' remaining three matches are on the road. If it is any solace to the team, Tacoma has a better away record -- 5-4 as opposed to a 5-7 home mark. In fact, the Stars and Orlando SeaWolves are the only two clubs in the 17-team league that has better road records. "I know it’s a cliché, but leading into these matches, we have been our biggest detractors," Perera said. "We have put ourselves in wonderful positions to be successful but have faltered in our consistency and mental fortitude at times. In order to get to where we want to go, we have to stop being our own worst enemy." For Perea, the learning curve this season has been steep in his first season as a player-coach at the age of 32. After all, having one responsibility is difficult enough. But running the show and running in the show, the degree of difficulty is multiplied. He isn't the first player to tackle such duties, and he won't be the last. "It has been an educational journey on many fronts, but the most pertinent growth, I believe, has been learning to compartmentalize my roles," Perera said. "When am I a player, and when am I a coach. There’s a delicate balance, and one I’m still very much working on." Admittedly his own worst critic, Perera said he has a huge list of things on which to improve. "I’m extremely self-critical, and I hold myself to a very high standard of excellence, so we don’t have enough time to cover the intricacies of my development," he said. "But I would say, anyone in the position of player - coach struggles with the ability to think critically in the heat of a match, whilst attempting to play." Oh yeah, about that enemy business. Regardless who survives the final two weeks of the season, the prize is not necessarily an enticing one -- an opportunity to play the Sockers. San Diego last lost on Dec. 22 -- to the Stars, 5-4. So, there is hope, but Perera knew there were more important matters right in front of him. "I’m occupied now with preparing for Dallas, Monterrey and Turlock," he said. "If we can perform as we have shown throughout the season, the series against the San Diego Sockers will be exciting." You know, you can say the same of the last two weeks of the regular season about the battle between the Fury and the Stars.